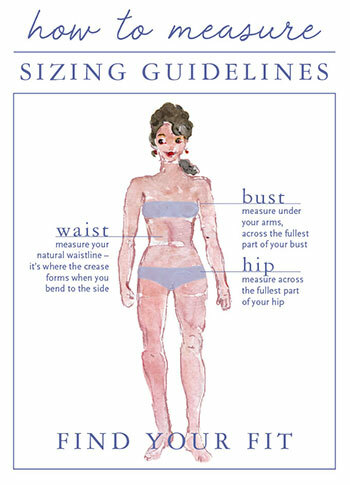 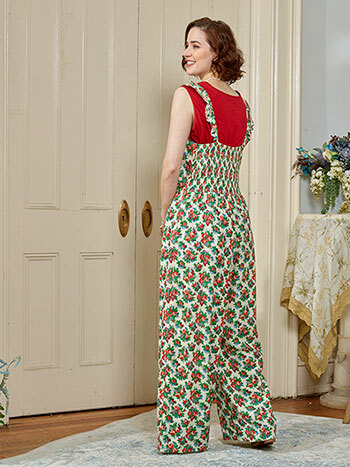 Vivaciously vintage design offering the best from the past in a form tailor made for who we are now. 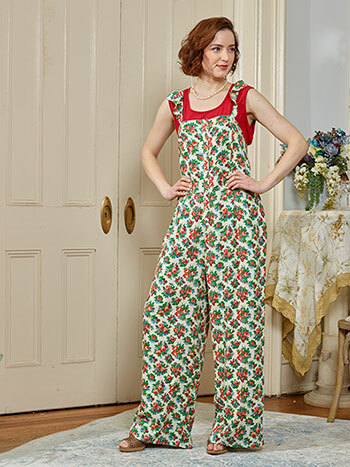 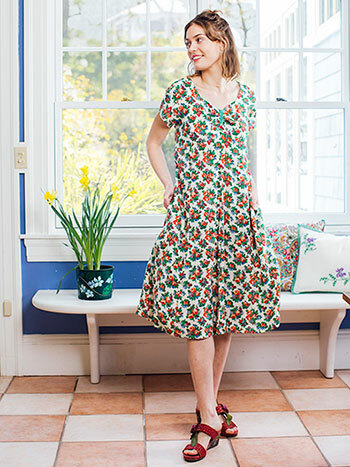 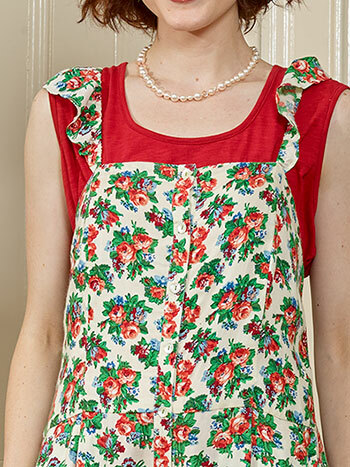 The Elizabeth's Garden jumpsuit feels fresh and feminine and shares a smile everywhere she goes- absolutely love the drapeful rayon, elastic ruching at the center back and easy side seam pockets. So cute!